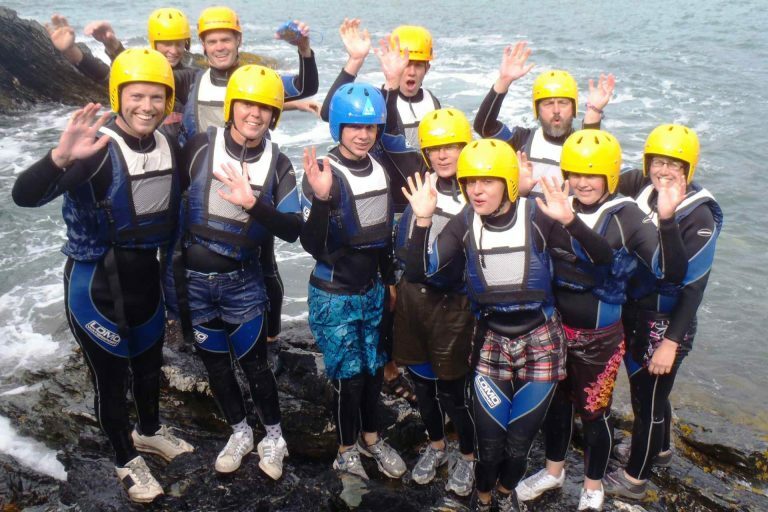 Coasteering on the Isle of Anglesey in North Wales is one of the most exhilarating and special outdoor activities we offer; the ultimate sport! Coasteering combines jumping, open water swimming, and scrambling along the ancient Anglesey coastline. 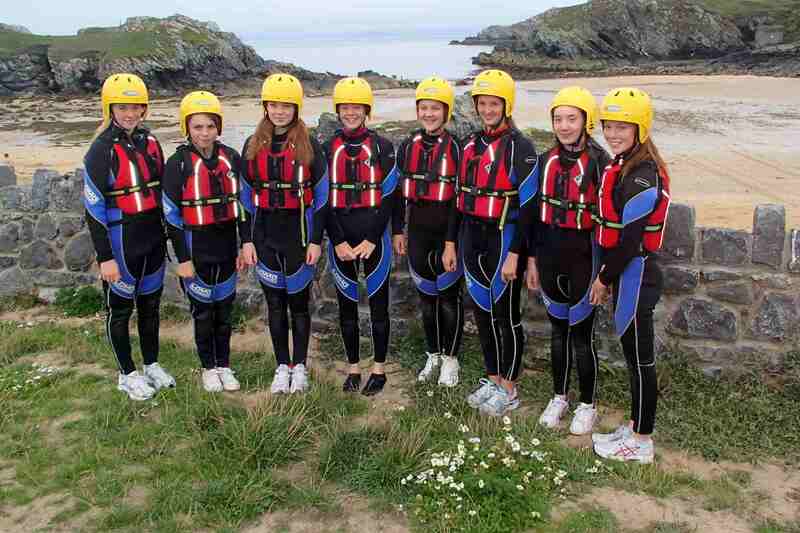 The sites we use around the Isle of Anglesey, North Wales are the best available. This means you get the right venue for your ability level; we aim for challenging yet enjoyable. Explore the rocks, scramble over boulders, discover sea caves and then reach for the sky with an exhilarating jump. 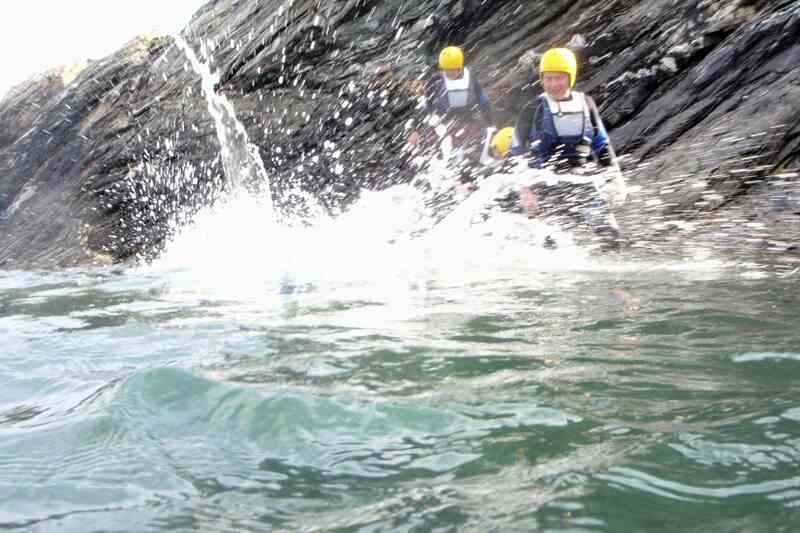 In short, coasteering puts you in the water! 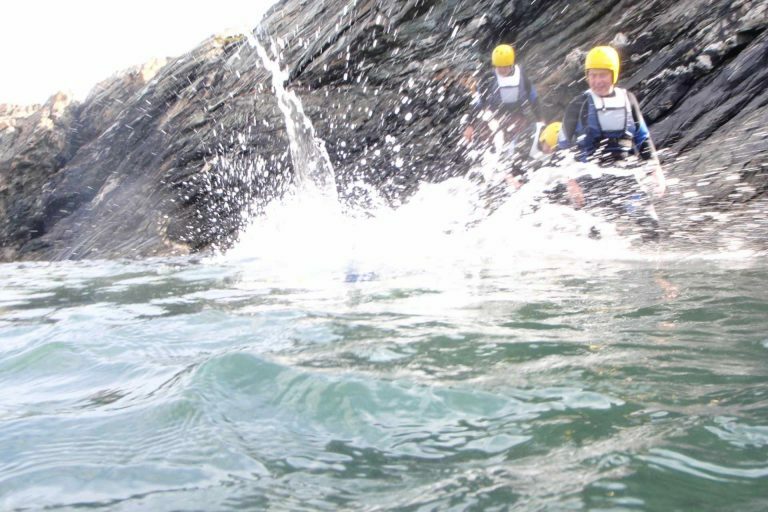 With Outdoor Actives’ coasteering sessions you explore mini tidal caves and be seeing, up-close, the varied marine life the British waters have to offer. Around the coast of the Isle of Anglesey, North Wales we have seals, dolphins, and porpoises, not to mention the bird life! This makes it the perfect activity for learning about the environment and yourself through sport. 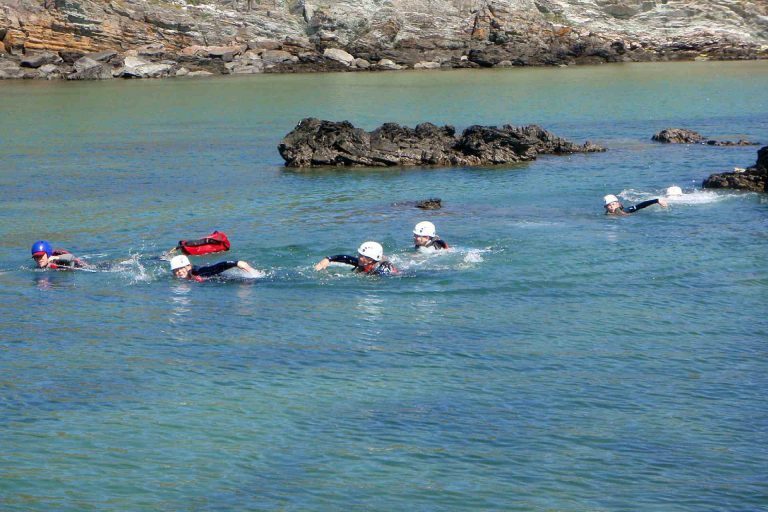 Coasteering is also excellent for getting fit, or feeling the thrill of open water swimming. Don’t fancy this; think its a bit hard for you? 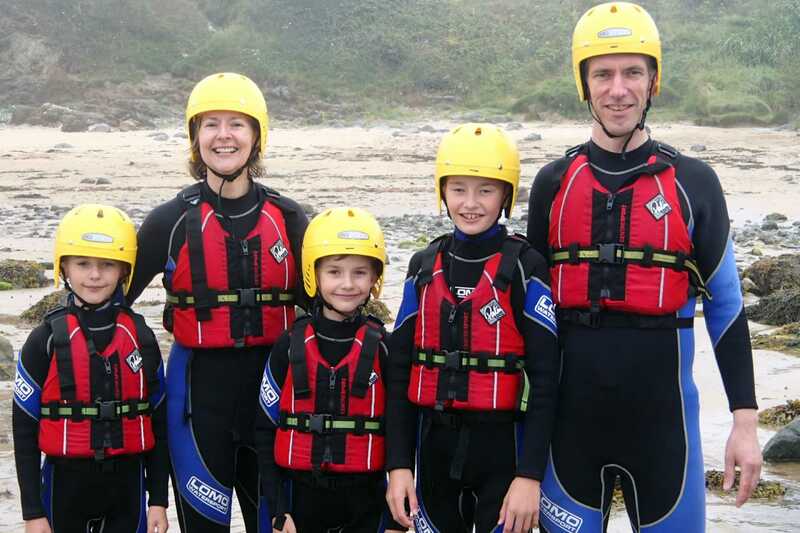 If so, look at our Half day sea kayaking for families instead. If you want more information on what a half day adventure consists of, more the timings, kit, expectations etc, and a link to pay for a session please look at the Half day Adventures page.